I actually dreamt of this place for me and my husband but since our schedule is so busy and whenever I checked it via Airbnb, the farmhouse is always not available. Such a blessing is disguise I met Katherine of Tara Let's Anywhere in an event and I am so delighted when she invited me to join her since his boyfriend cannot make it to their scheduled visit at Ataalaya due to conflict at work. 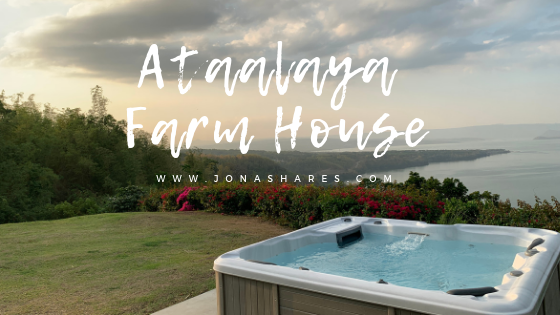 Atttalaya Farm House is located at Alitagtag, Batangas. It is a five (5) hectare land atop a forest clad cliff. You could easily be inlove with the view of the Taal Volcano and Mount Maculot. At first, I thought it was a previous ancestral house which was renovated but I am surprised knowing that it was built from scratch. The whole farm house was then a bare land. Ataalaya's design could best be described as a Colonial Melange, which is a blending elements of Cape Dutch and Indian styles with Philippine architecture. I learned as well that the furnitures were from different countries since the owner loves to travel too. The name Ataalaya is a combination of the Spanish word 'Atalaya' which means lookout tower or point, and Taal. Ataalaya Farm House is indeed an ideal place for families and friends bonding moments. I also learned that the place is known for pre-nuptial photoshoots and garden wedding events. Since I am currently in San Pablo City, Laguna. Me and Katherine just met half-way. Here's how I met her at Sta. Teresita, Batangas. 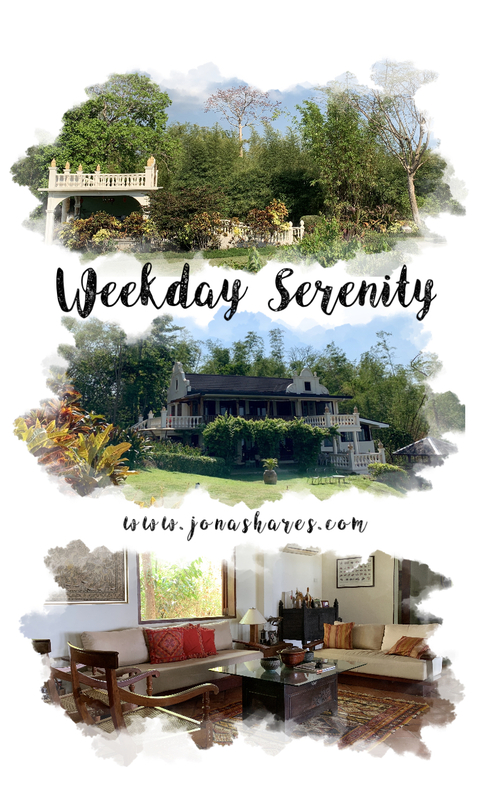 For those who will be coming from Manila, Ataalaya Farmhouse is just an hour and a half's drive from Manila while you have options below if you will be commuting. Bus either going to Lipa or Lemery, just inform the conductor to drop you off at Sta. Cruz/Cuta East while is the Bus is going to Batangas Pier, tell the conductor to drop you off at Tambo/Lipa City. Then from there, you have to take a jeep with a signboard "Lemery" and then drop off at Sta. Cruz/Cuta East. From Sta. Cruz/Cuta East, there are tricycles going to Ataalaya Farmhouse. I asked the Halo-halo vendor how much is the fare so I have an idea before riding the tricycle. It was Php 50.00 per way. Then I get the driver's number so he can pick us up on the next day. Pardon my editing skills, I am still learning. If you can share tips, please let me know. Thank you!